Of course, some injuries happen in one, unfortunate moment. These are actually more easily treated and you’ll probably recover more quickly from them compared to the chronic issues discussed below. Find more information about these kinds of injuries here. Female runners: See this page for more information about what might be causing your injuries. Most running injuries are chronic. In fact, the chances of having some kind of injury related to running is about 70% PER YEAR. 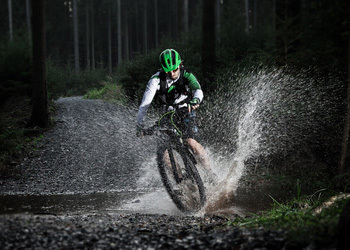 That means that, if you run for more than one year, your chances of having some kind of injury are greater than 100%. Most of these injuries can be traced to poor form. Poor form is often encouraged by poor footwear. Good shoes are rare and probably 98% of all shoes are not “foot-shaped” and have elevated heels. Both of these factors allow for, and encourage poor running form and stride. Check out my recommendations for good shoes here. One interesting point: that padding below your foot,along with poor form/heel strike will actually make you hit the ground HARDER than if you were to hit the ground with no shoe at all. See some research about that here. Once you have good shoes, take time to learn and practice good form, stride and footstrike. Here are a few “quick tips” to get you started. Below that are a few web sites that can teach you how to do this. Mark Cucuzella MD displays great form and shows some of the best drills and exercises for developing good “natural running” technique. From the company that makes some of the best “foot-shaped” shoes. They have variable padding and are great for transitioning to natural running form. Former Olypmian Grant Robinson teaches you how to run faster, run easier, and run injury free. 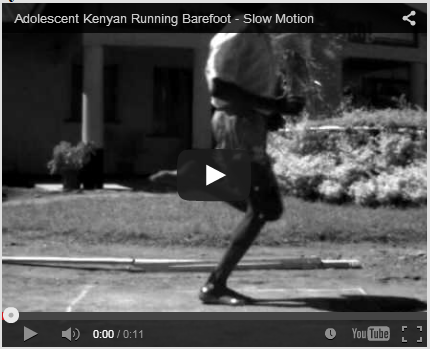 Click here for more Good Form Running videos and info. From a company that makes great “foot-shaped” shoes. They all have little to no padding, which is great for ground-feel and training your bones/muscles/joints to work better. These shoes are best used after a gradual transition with shoes that have padding (like Altra’s) or from the beginning, but with a gradual and thoughtful slow increase in distance and intensity. 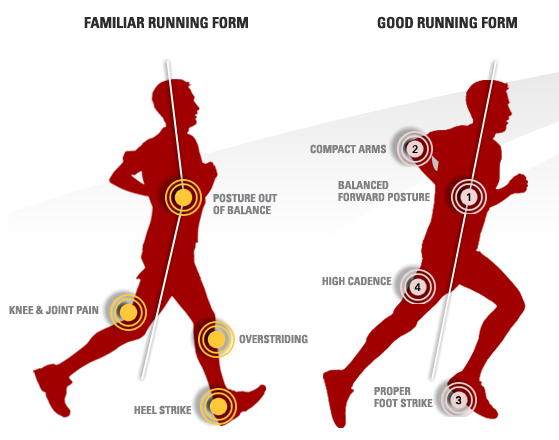 The video above is a review of the latest scientific and academic literature on the subject of chronic running injuries and how they can be prevented by proper running form. This is in-depth and involves many complex principles as it was given to an audience of orthopedic surgeon peers as a formal presentation while studying as a resident orthopedic surgeon in Albuquerque, New Mexico at UNM.